Globe network remains intact to provide critical telecommunication services for its customers and humanitarian agencies undertaking rescue operations in flooded areas due to heavy monsoon rains brought by Typhoon Mario. Globe said that there is no reported network disruption in the National Capital Region which is heavily affected by flooding. Globe also initiated its public service drive in social media through #StaySafePH which shares valuable tips and information on how to be safe during times like these. 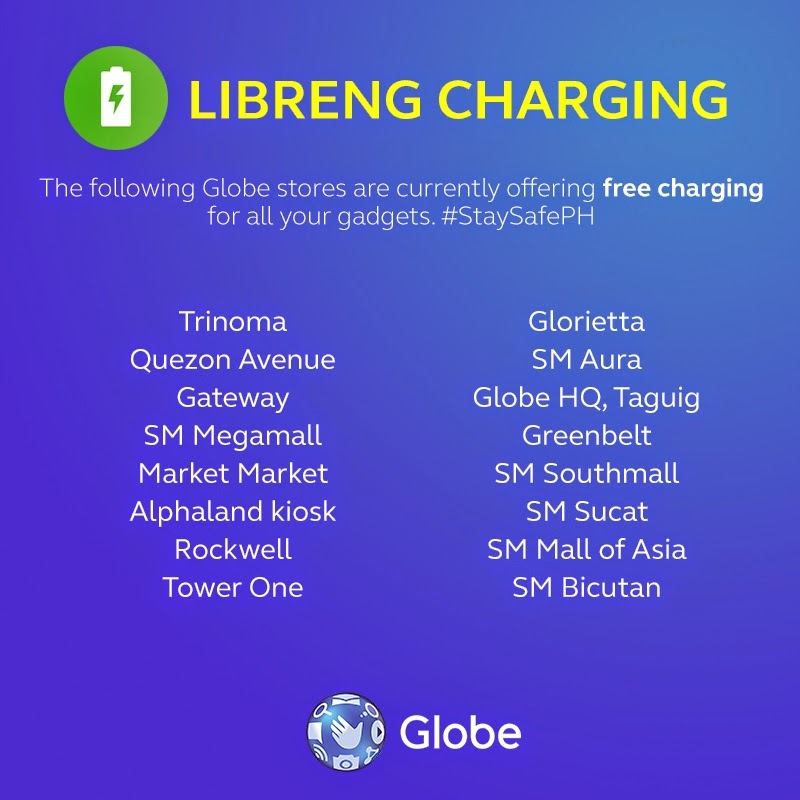 Selected Globe stores in Metro Manila have also offered free charging for customers' mobile phones and gadgets. Still, the telecommunications provider said it is closely monitoring its network facilities in areas affected by the monsoon rains and technical personnel are ready to attend to any service disruption. “We have not monitored any service disruption in the affected areas and our network is fully operational to provide critical telecommunications services to all sectors undertaking rescue or relief operations in areas affected by floods,” said Yoly Crisanto, Globe Senior Vice President for Corporate Communications. She added that Globe security personnel are also undertaking rescue operations for company employees affected by floods. Globe Ikot services are likewise operational to take care of the transport needs of employees who reported for work at its headquarters.